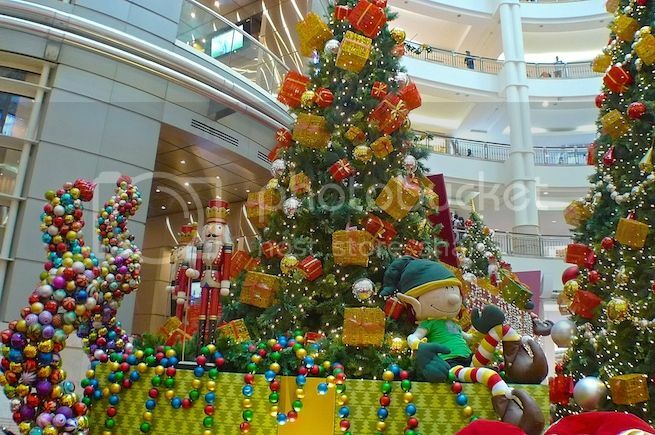 I thought I would like to share my new piano composition about my Christmas memories in KL. 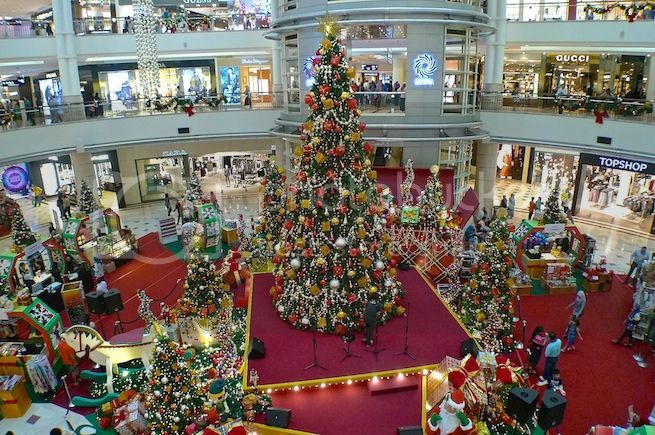 This is not your typical joyful Christmas song - it's kind of a little sad, though not really sad as it's Christmas time! Just some memories and sometimes memories can be a bit sad, that's all. Note : This recording is copyrighted. All Rights Reserved. 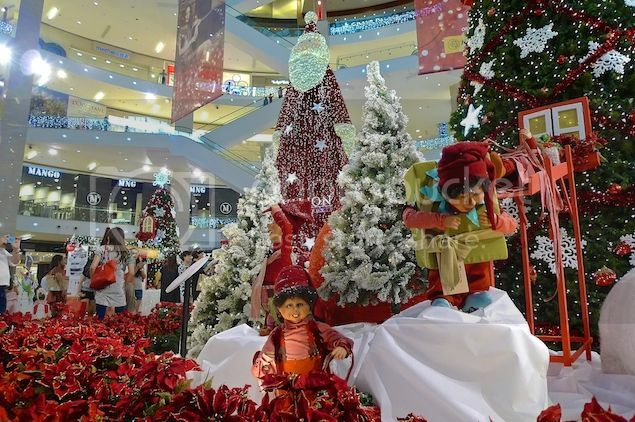 Christmas mood is in the air right here in Klang Valley and you can feel it with all the Christmas decorations being put up in the malls. 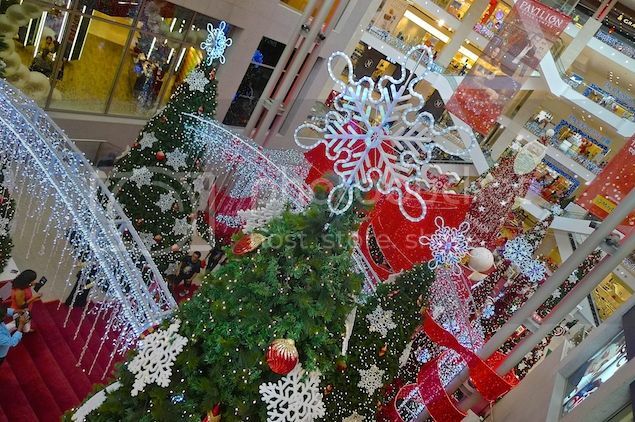 It's White Christmas at The Curve in Petaling Jaya! Look! 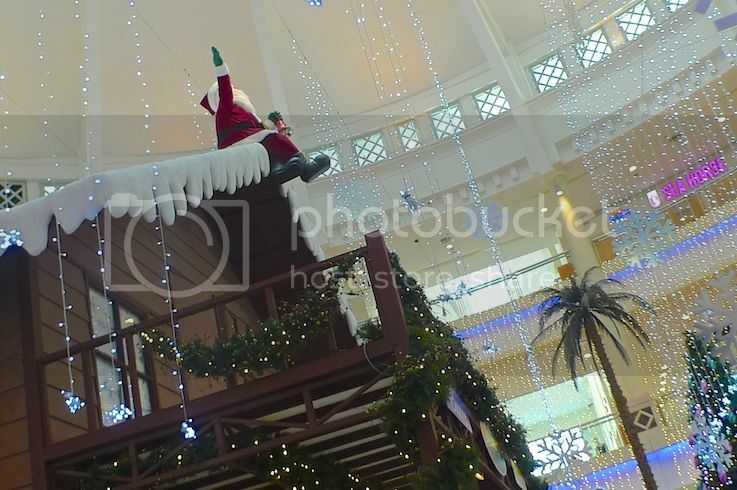 There's a Santa Claus sitting on the roof! 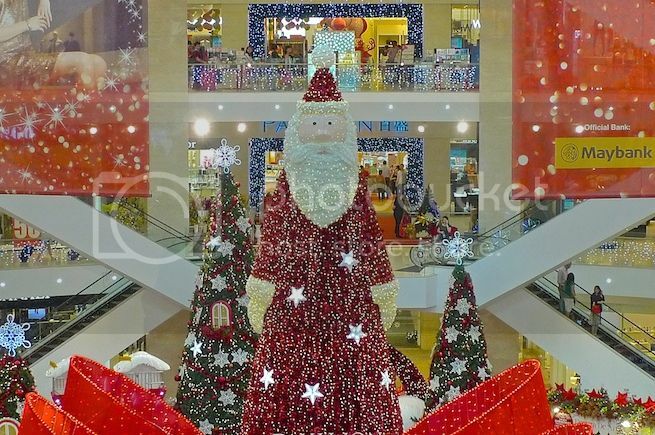 A closer shot of Santa from below. 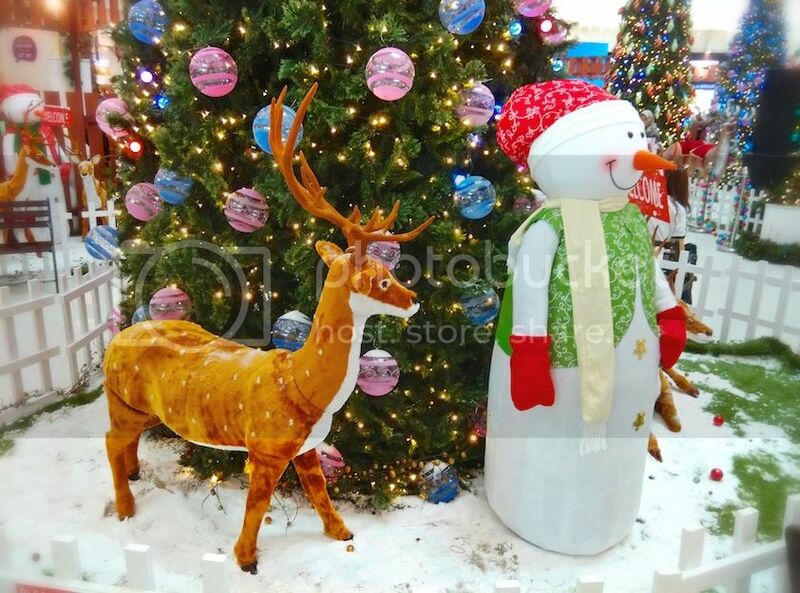 Lovely snowman and reindeers! 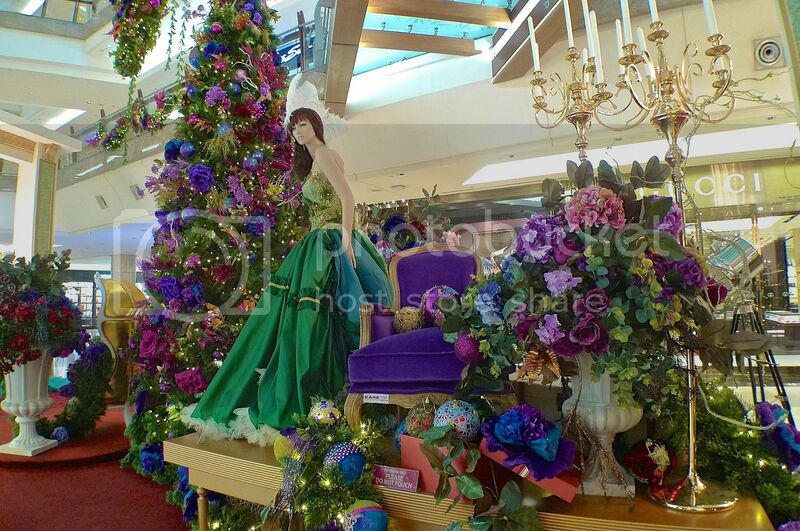 And I like the Christmas trees with the beautiful ornaments. 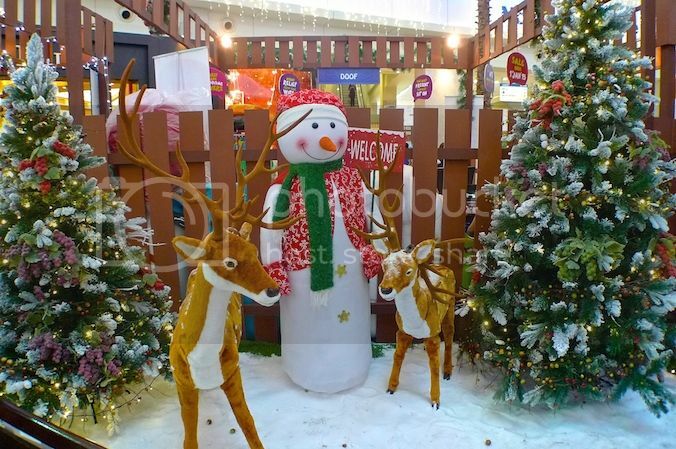 These life-size reindeers are cute! 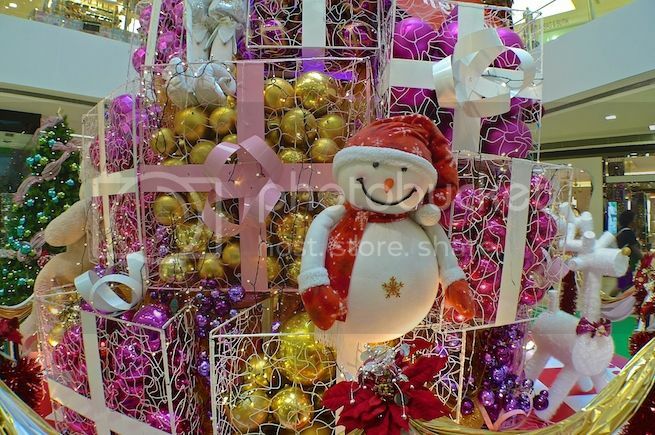 The decorations made me smile. 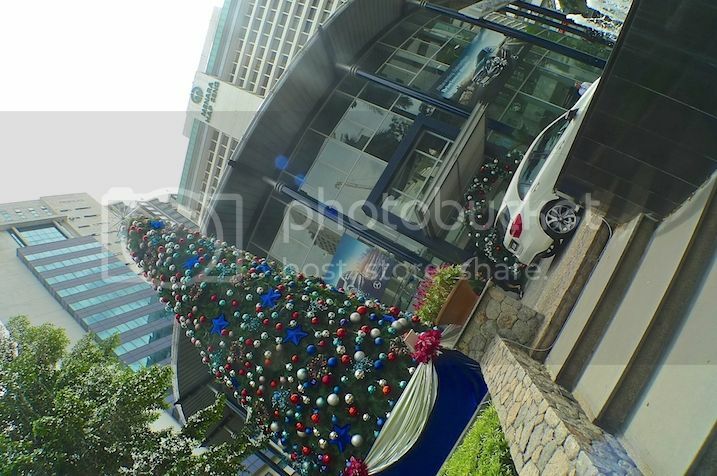 A tall Christmas tree in front of e-Curve. This will probably look better at night. 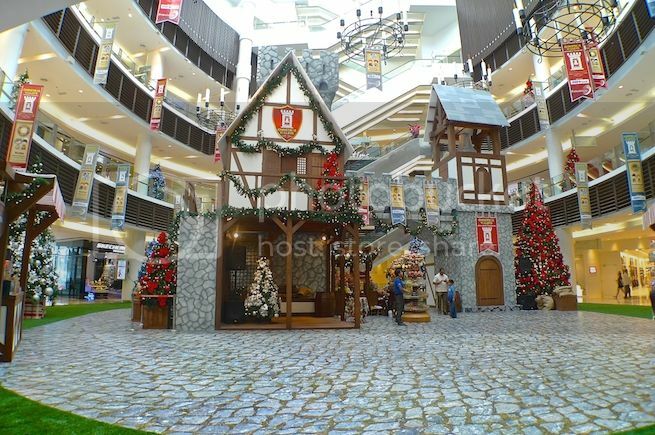 The Christmas decoration at Paradigm Mall is somewhat different as it has a medieval touch to it. Actually I like the candles! 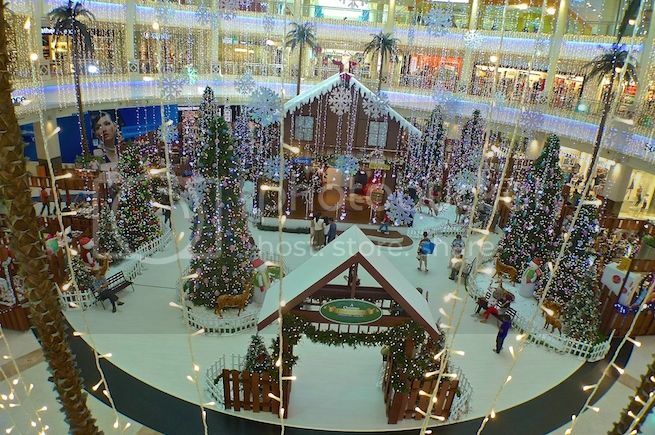 But unfortunately, the decoration does not give me a Chrismassy feeling. 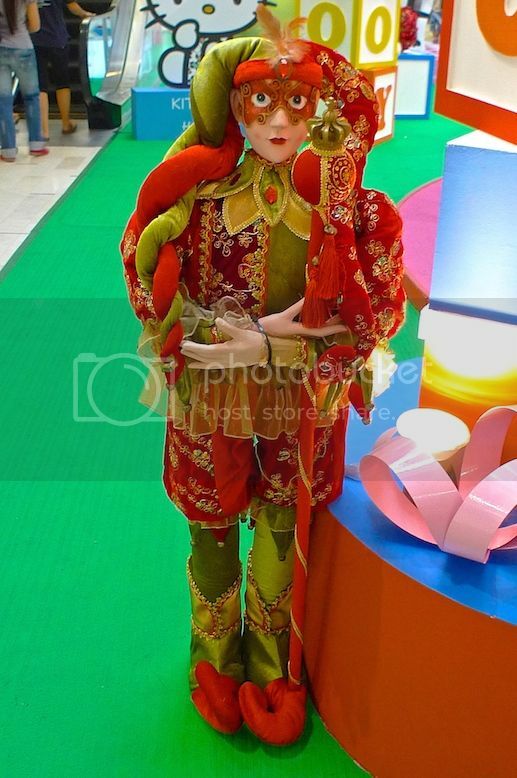 I did not have a camera with me at Tropicana City Mall so I had to make do with my Xiaomi phone. Everything is inflatable here. 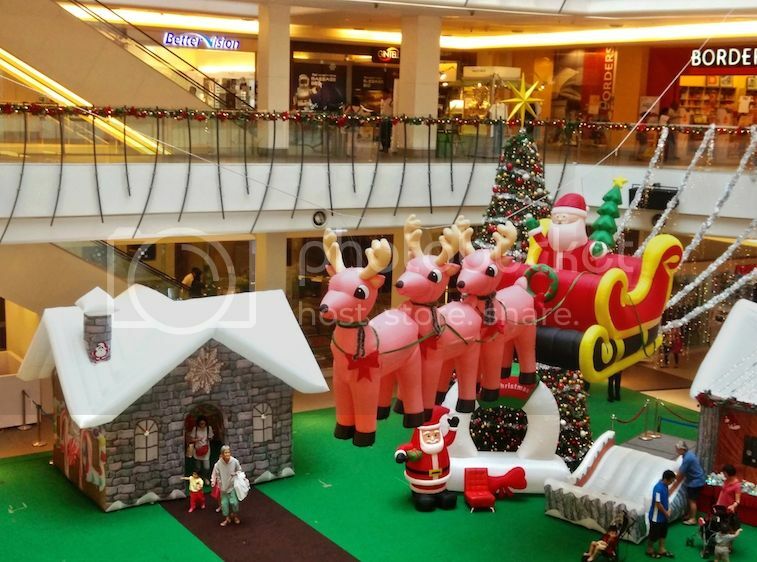 There are inflatable flying reindeers and inflatable Santa Claus on his inflatable sleigh. 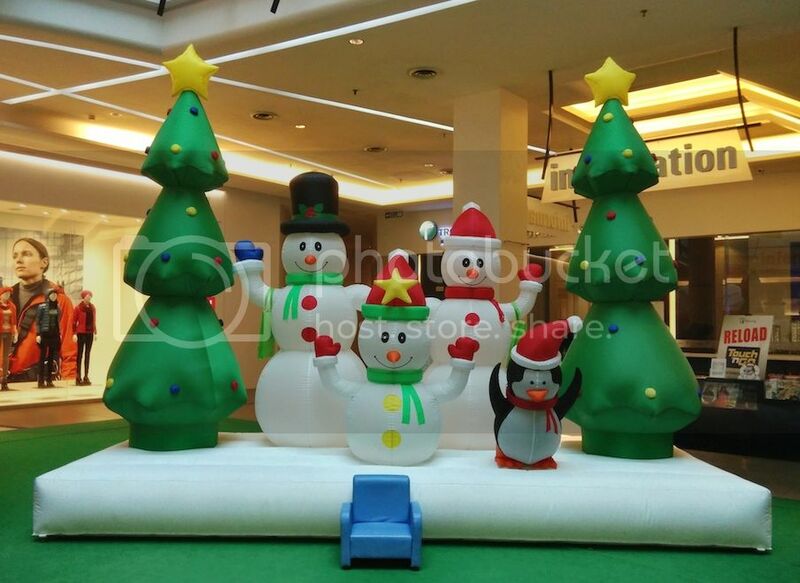 Inflatable snowmen and inflatable Christmas trees. Pretty cute! 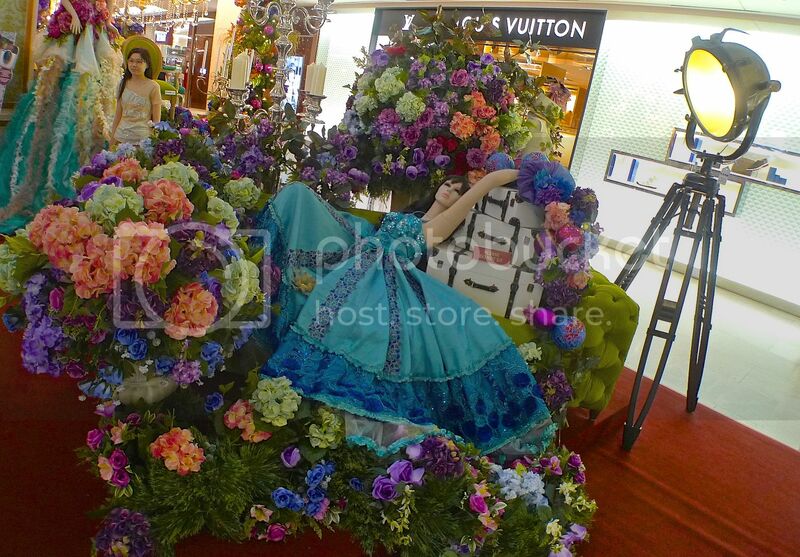 It's all fashion at The Gardens Mall in KL! 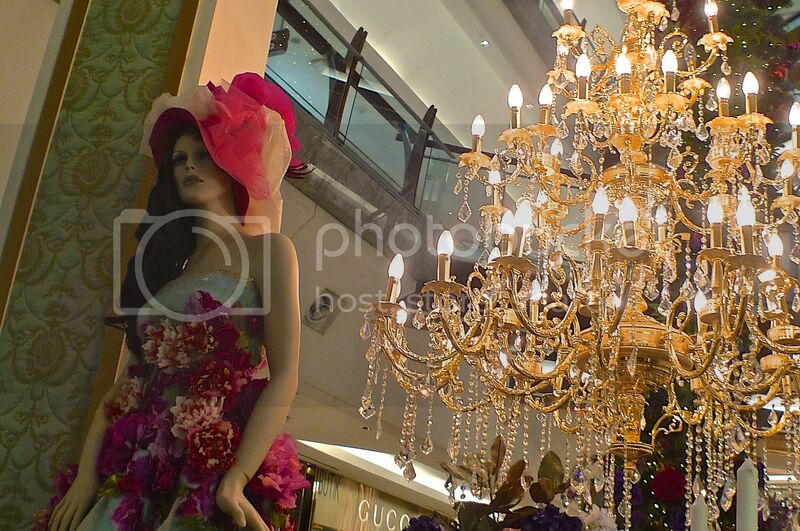 Fashion and flowers to be exact! 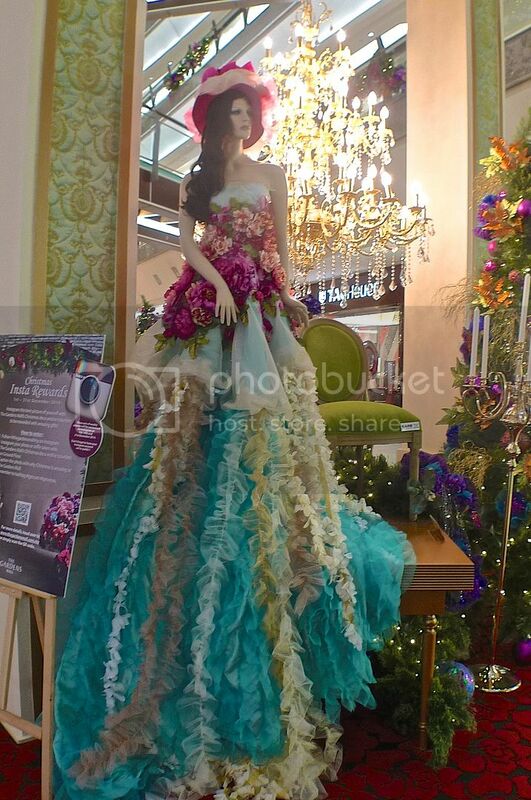 I am not exactly sure what the theme is for this year's Christmas decoration at The Gardens, but it seems that if you Instagram a photo of yourself with these mannequins, you will stand a chance to win prizes! But do not rush over to the Gardens now - it's too late. The contest ended a few days ago! LOL! 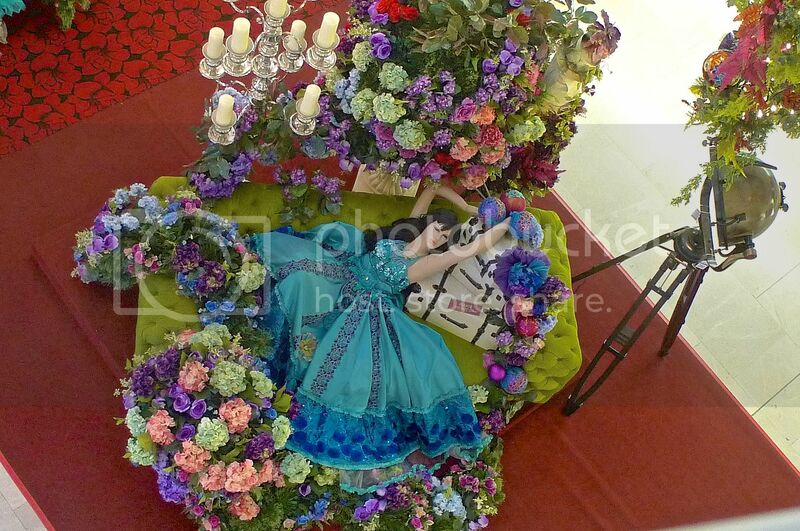 OK, I like this one the most. 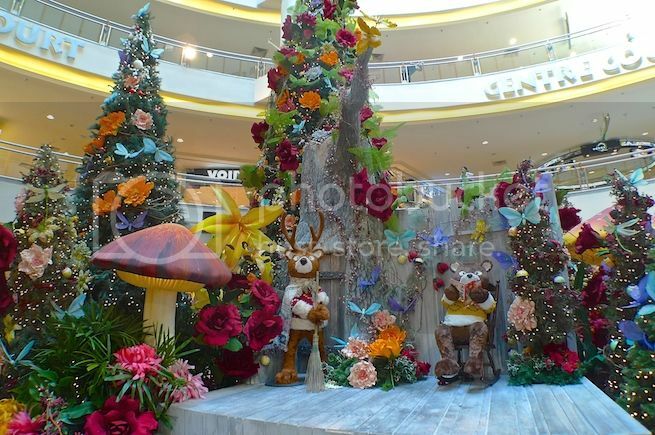 Next door, the Mid Valley Megamall has been turned into a Christmas fairyland of sorts complete with giant mushrooms, flowers and furry animals. 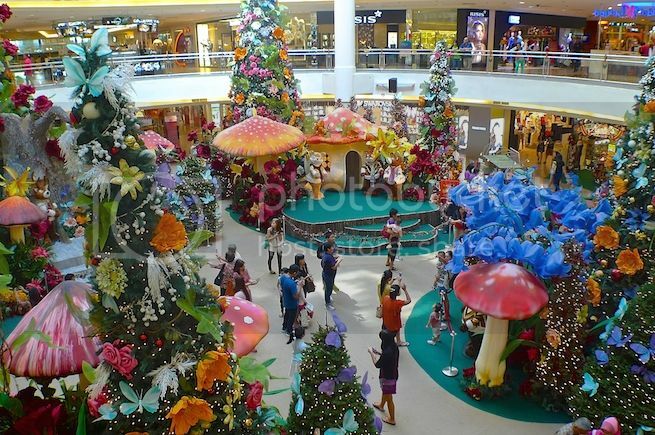 Look at those giant mushrooms! Furry animals that look like they have just walked out of a storybook. 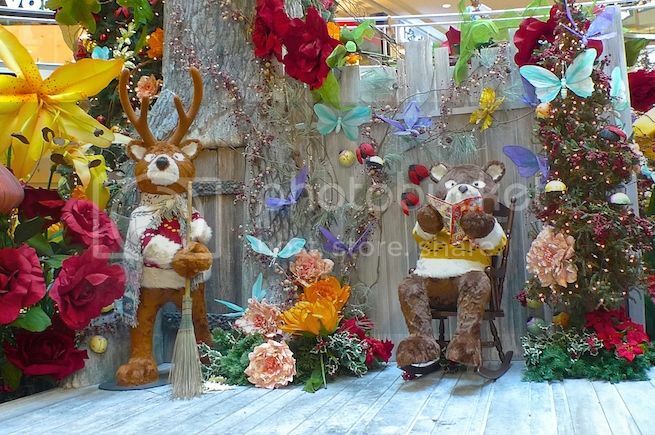 I think children will love this decoration. Me? Not really my type of Christmas! 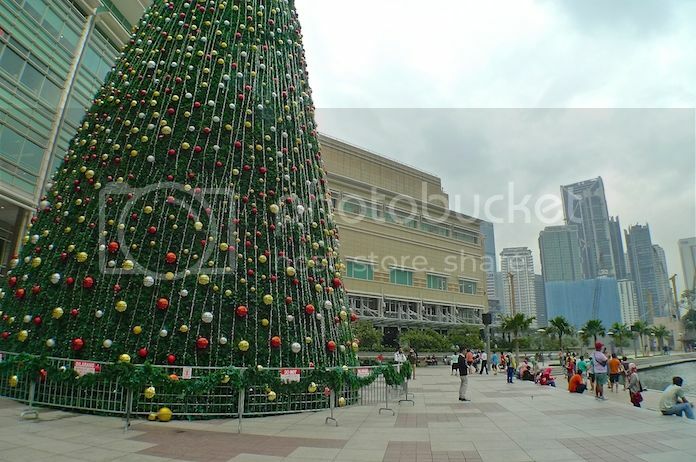 Did you know that there's a very tall Christmas tree at Suria KLCC? 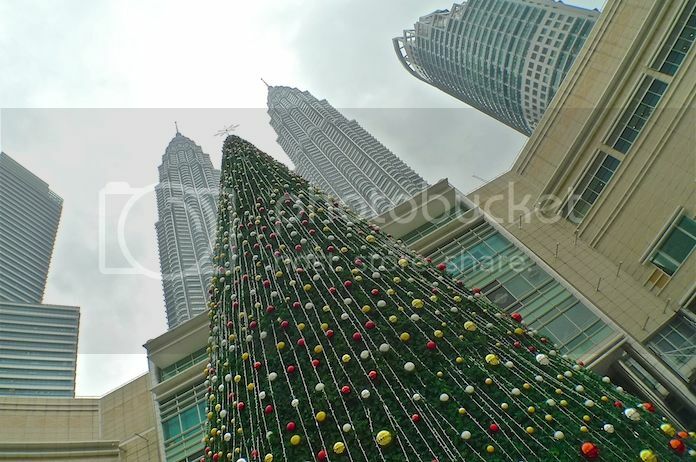 In fact, it is the tallest Christmas tree in Malaysia estimated to be 32 metres (or 105 feet) in height! 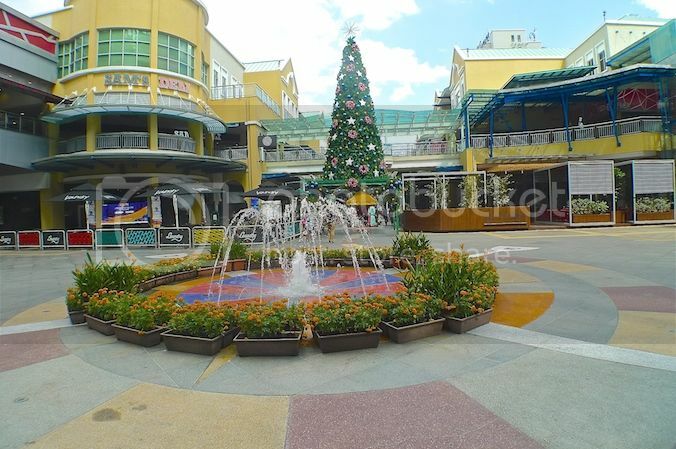 Located at the Esplanade, it is quite a sight to behold. 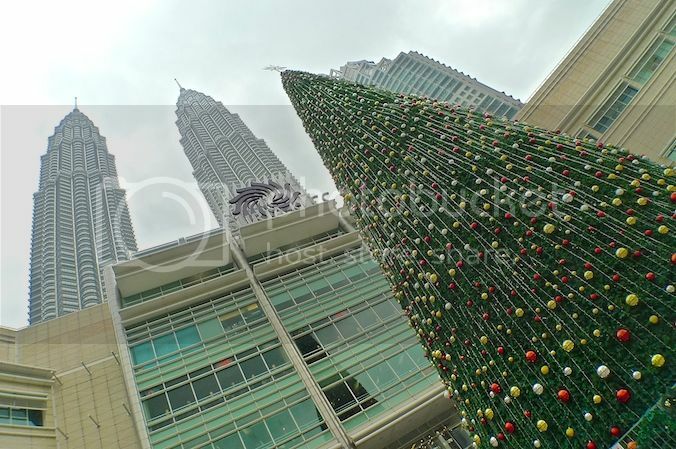 And it is made even grander with the majestic Petronas Twin Towers in the background! It was a cloudy day when I took this picture. In fact, it started raining right after I took the picture! 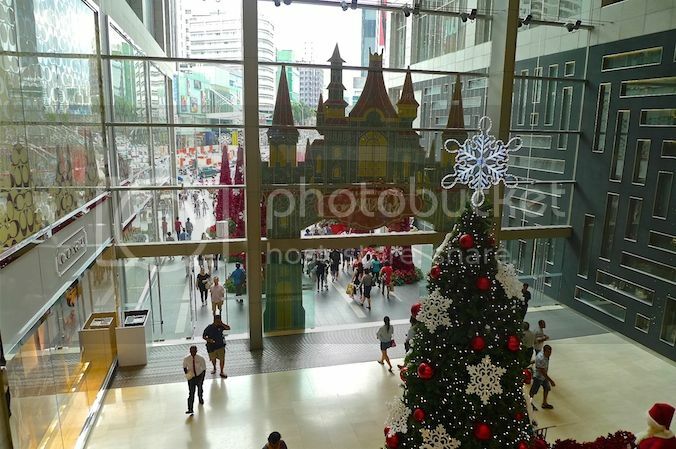 Inside Suria KLCC, at the main concourse, stands another tall Christmas tree, albeit a smaller one. 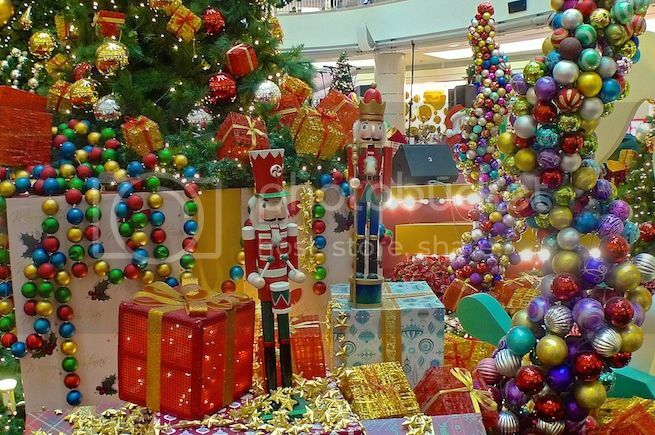 The decorations are actually pretty good. 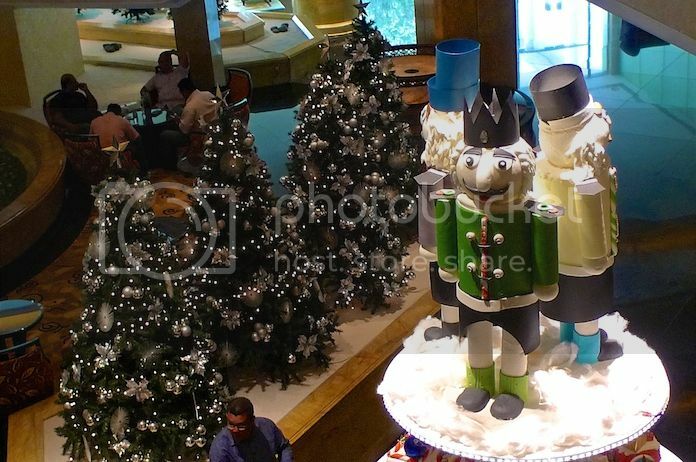 Closer shots evoke a Chrismassy feeling. 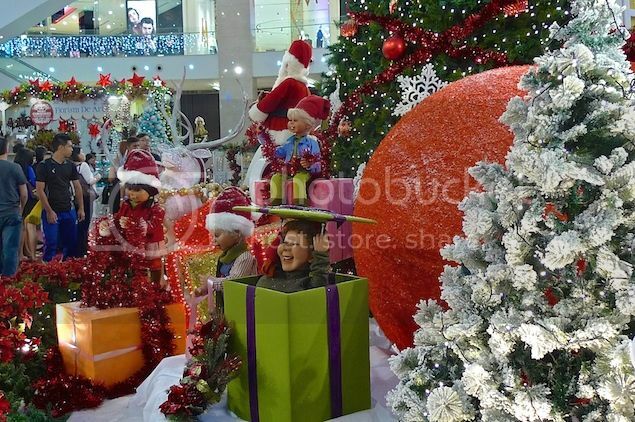 Complete with toy soldiers, elfs, Santa Claus and a rocking horse. 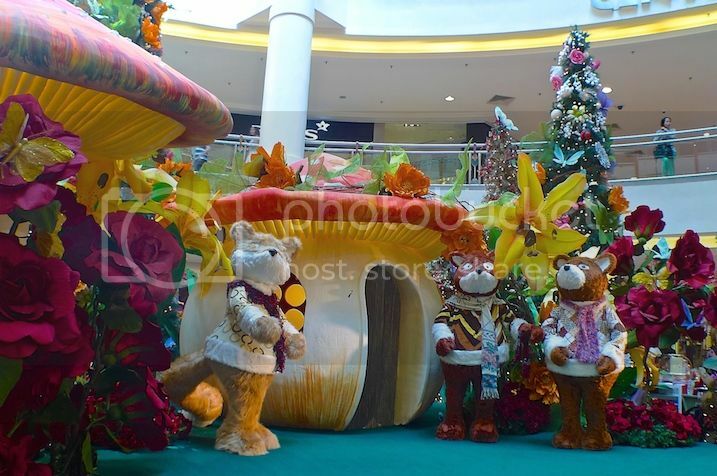 Giant toys, and hot air balloons galore at Fahrenheit 88 mall in KL this year. 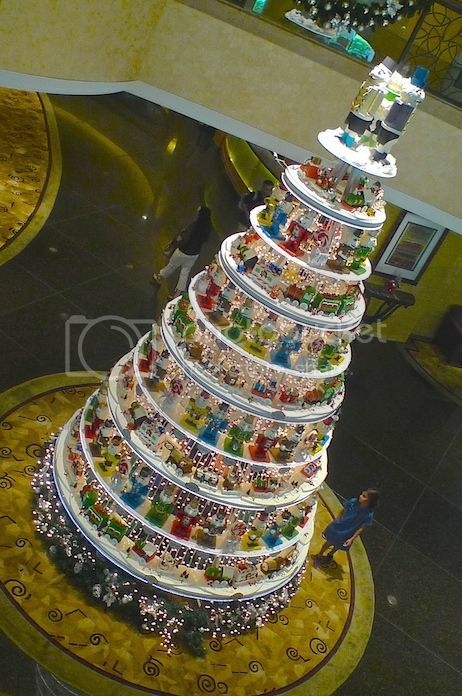 Their version of a Christmas tree. 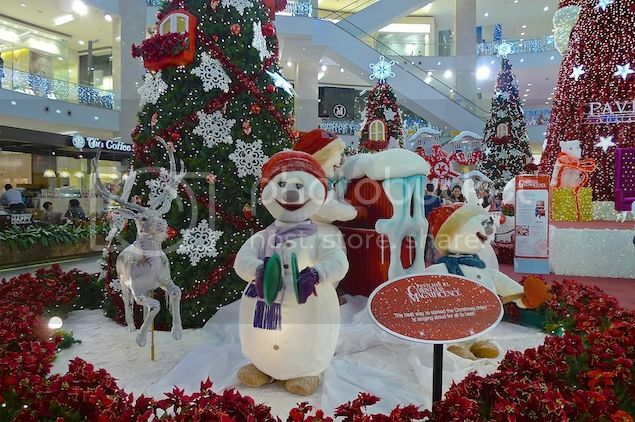 I like this smiling snowman! So cheerful! I thought this Joker looks pretty cool. 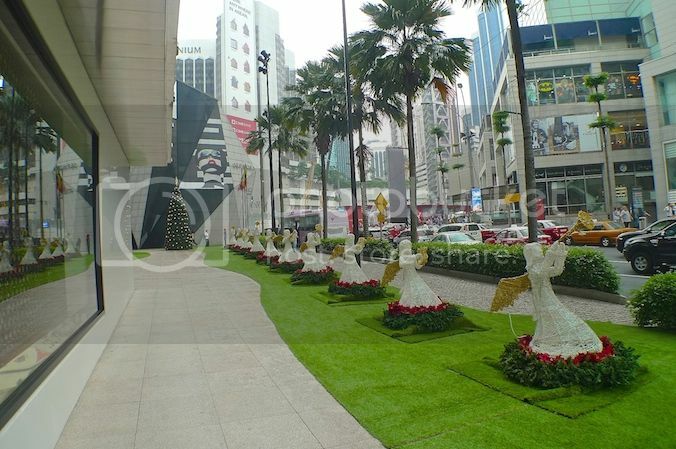 If you were to walk along Jalan Bukit Bintang opposite Pavilion KL near to Starhill and JW Marriott, you will see a row of angels playing some form of musical instruments. 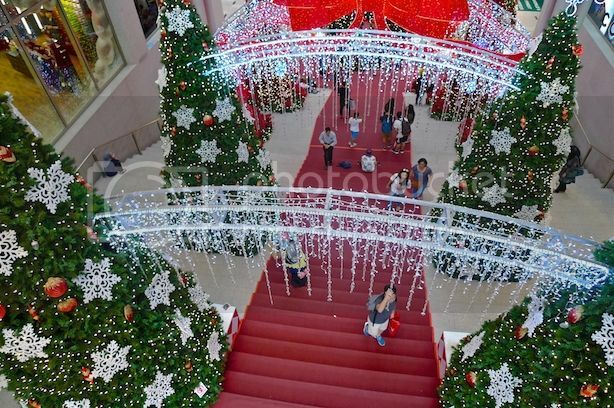 The angels will lead you to a Christmas tree at the end. 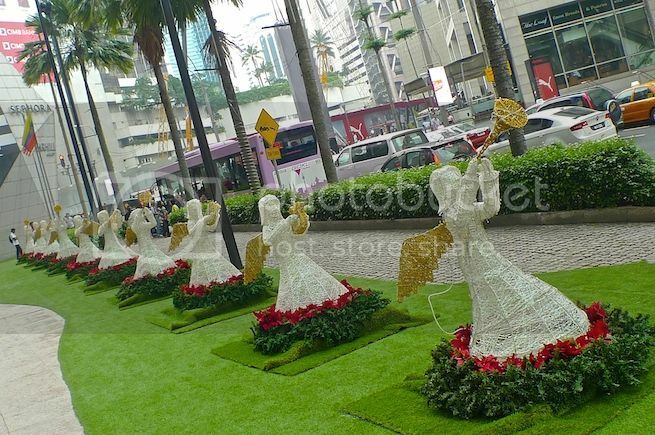 The angels will probably look nicer when lighted up at night, but they still look pretty good in the daytime. 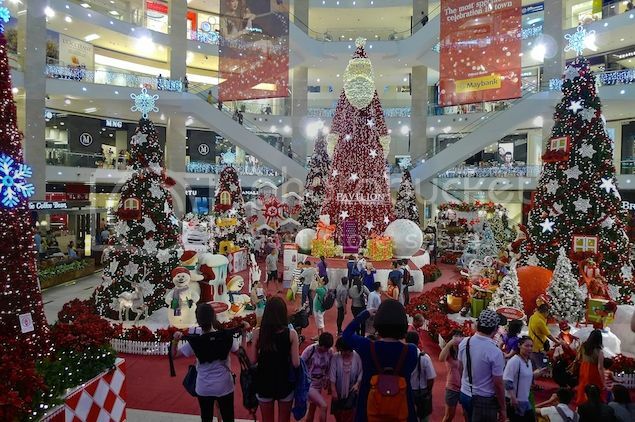 I did not visit Berjaya Times Square (for the largest Christmas tree in Malaysia), Sunway Pyramid and Empire Shopping Gallery this year. 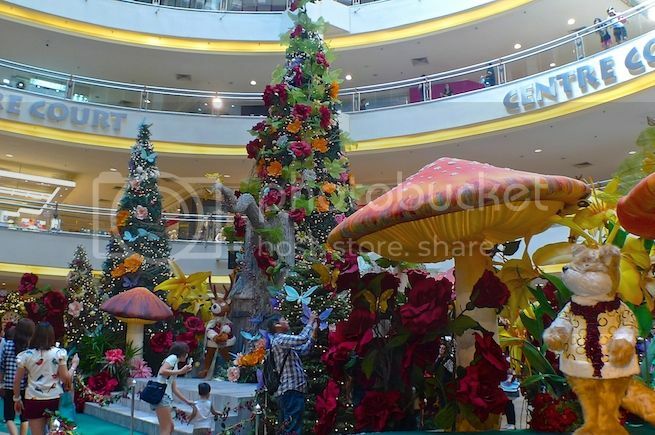 I did however visit 1Utama and Avenue K but I am afraid the photos are not worth sharing. 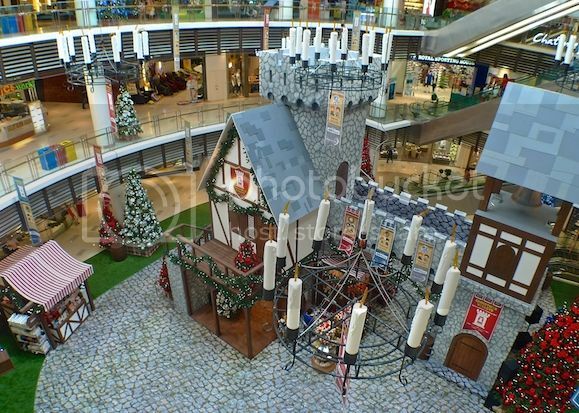 Oh well, maybe I will share the photos in another post but the Christmas decorations at 1Utama is really, really horrible. 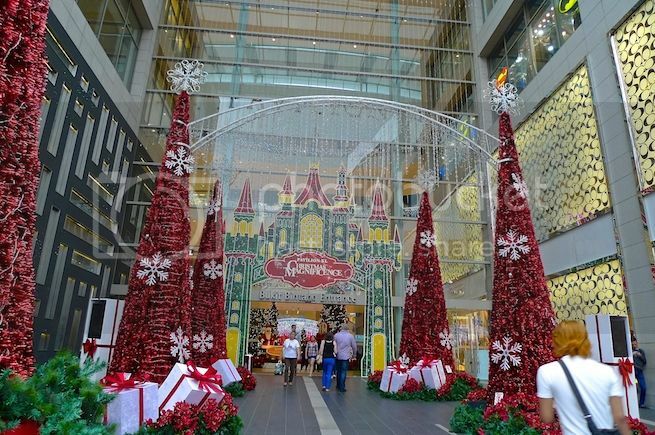 What do you think of the Christmas decorations in Klang Valley this year? Which are your favourites? Oh by the way, Merry Christmas and Happy Holidays everyone! 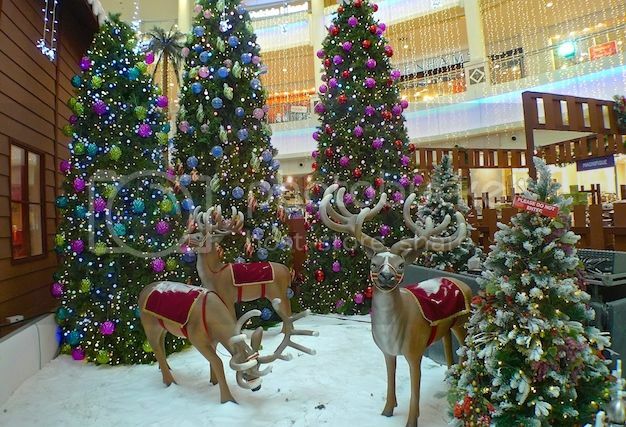 It's the time of the year again! 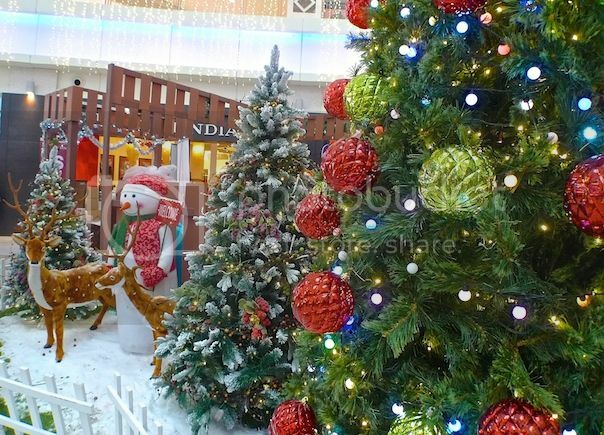 Yes, I am talking about Christmas! 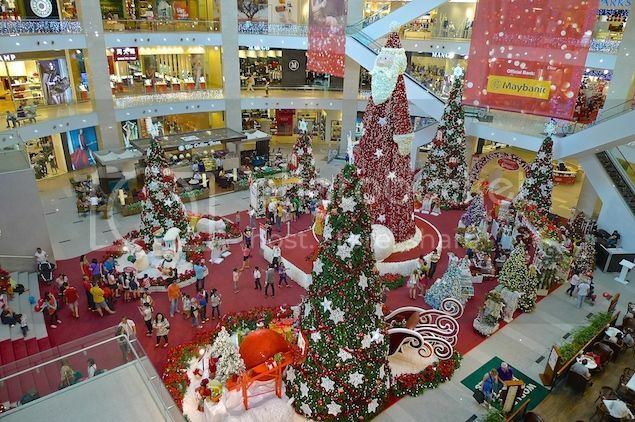 Every year, without fail, shopping malls and hotels in the Klang Valley would put up Christmas decorations a few weeks before Christmas day. 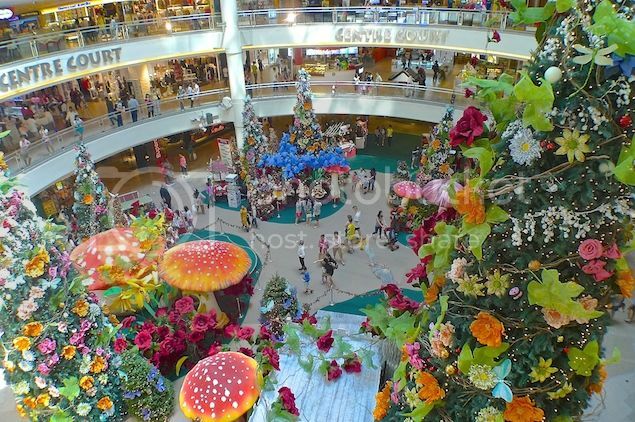 This year, I spotted a few really good ones so I guess I will start with the cream of the crop - Pavilion KL. 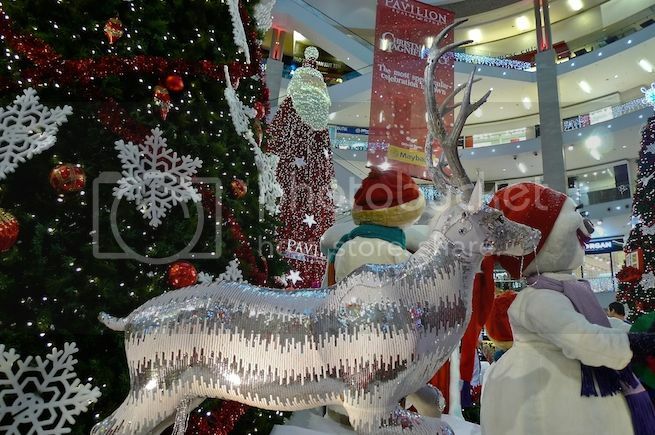 There is a huge Santa Claus at Pavilion this year. 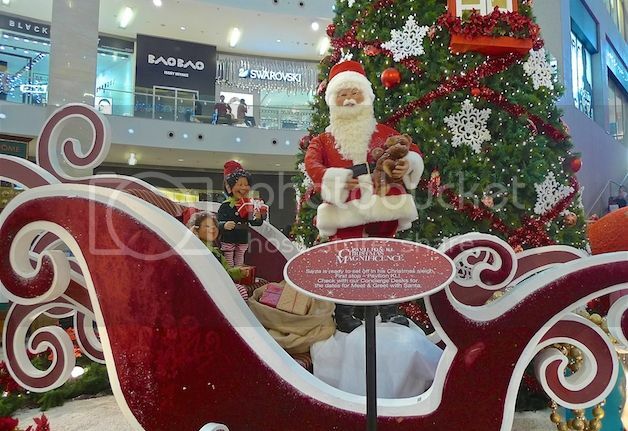 But strangely, this is not the usual fat Santa we are accustomed to. 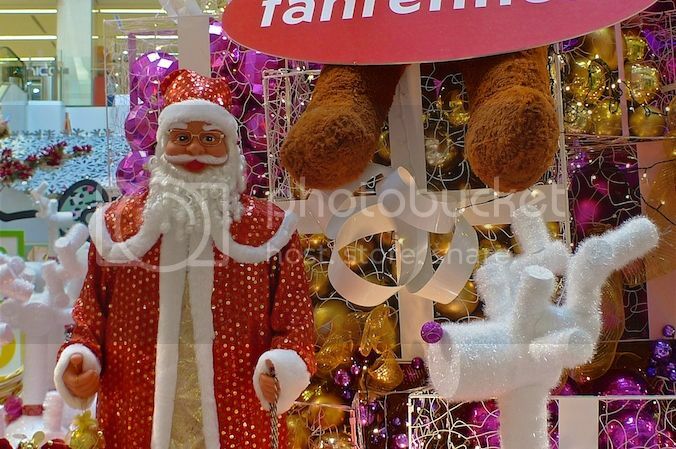 No, this Santa is slim and looks more like Merlin the magician! LOL! There are still some recycled items from past years but that's to be expected. 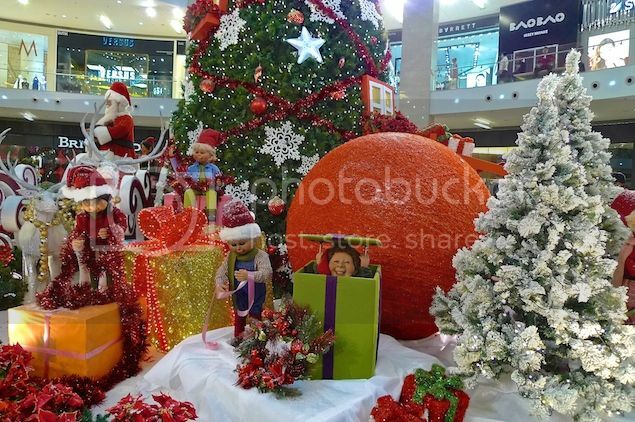 Look at the tall Santa in the middle! 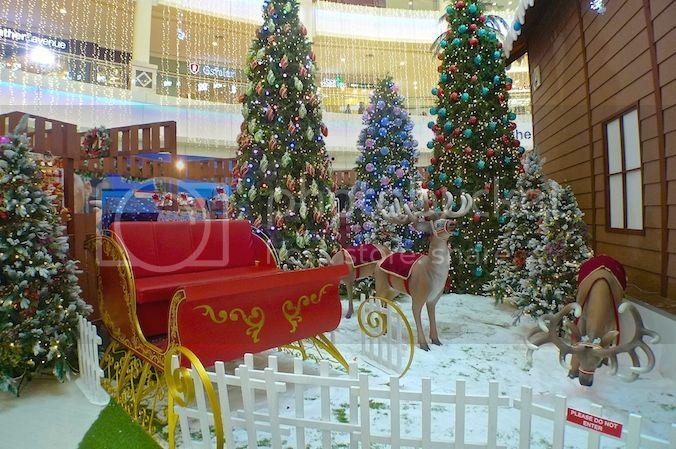 View from the back of Santa. 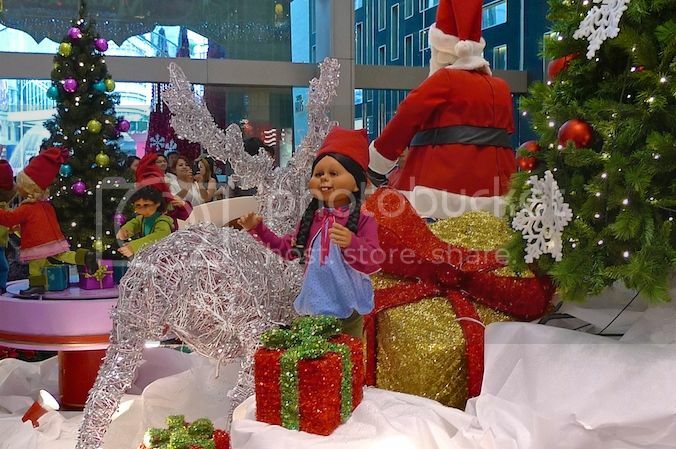 OK, this one looks more like the Santa we are used to. Haha! 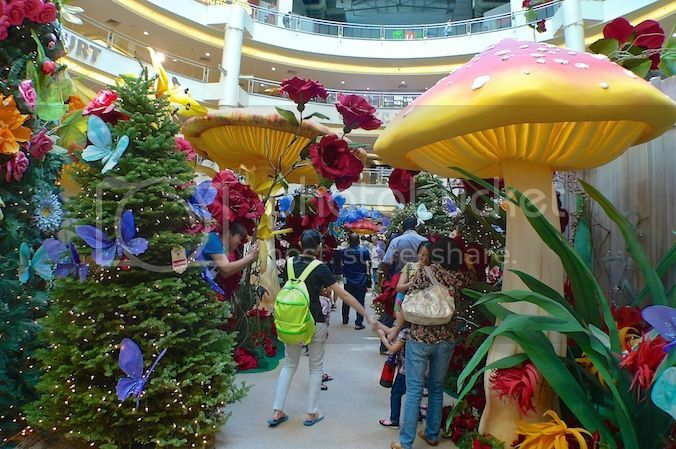 There are many elves at Pavilion this year. And the interesting thing is, they move! Yes, they are not just standing there all static and unmoving. 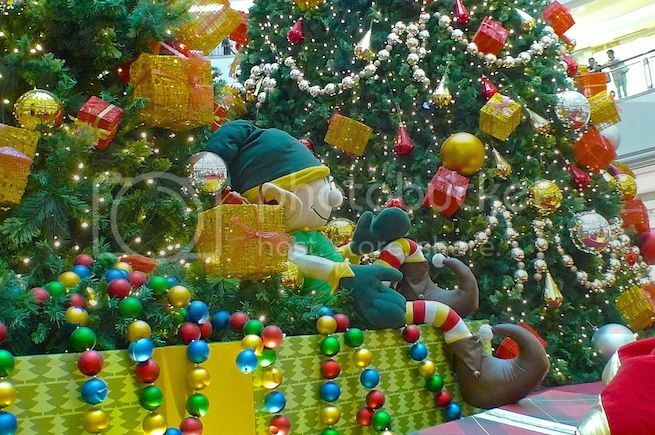 Like this elf in the box - he (or is it she?) keeps lifting up the lid and then closing it again. 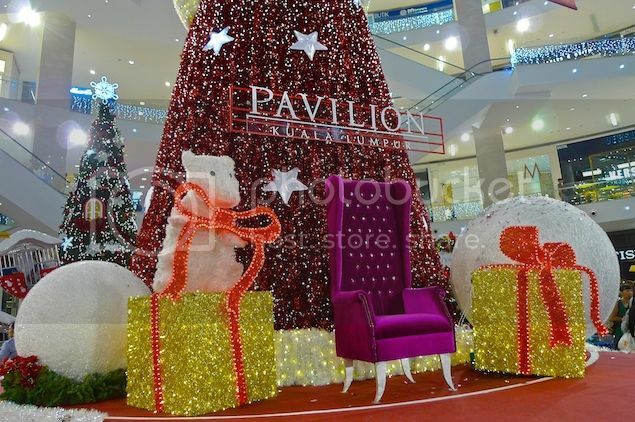 The theme for Pavilion this year is Christmas Magnificence. Lovely! 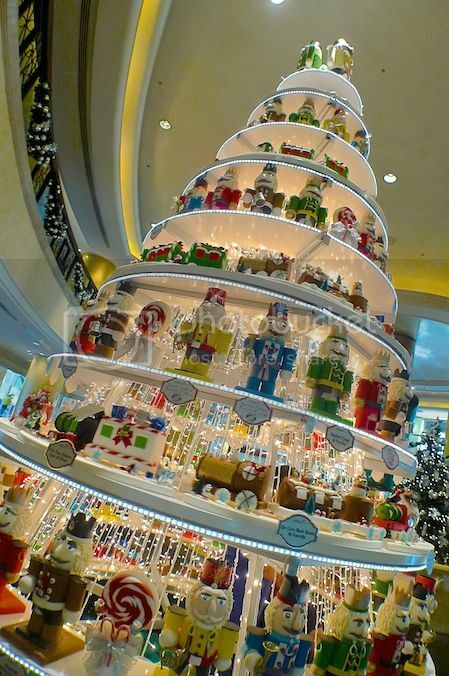 The view of the tall Santa from below. Would you like to sit on that beautiful majestic chair? LOL! 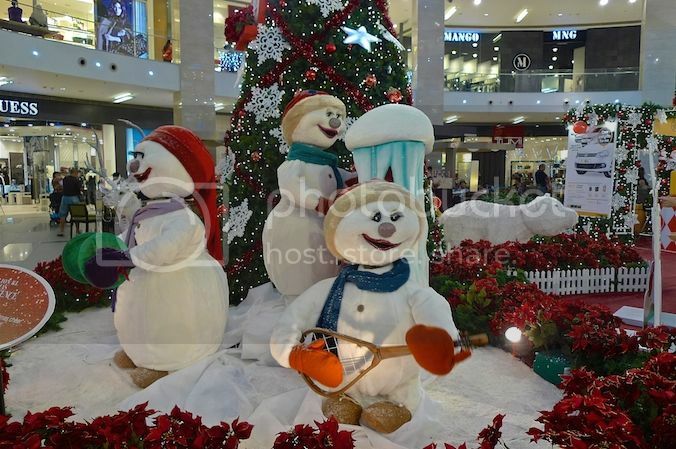 Cute snowmen playing musical instruments. I can't remember if they move and dance though. 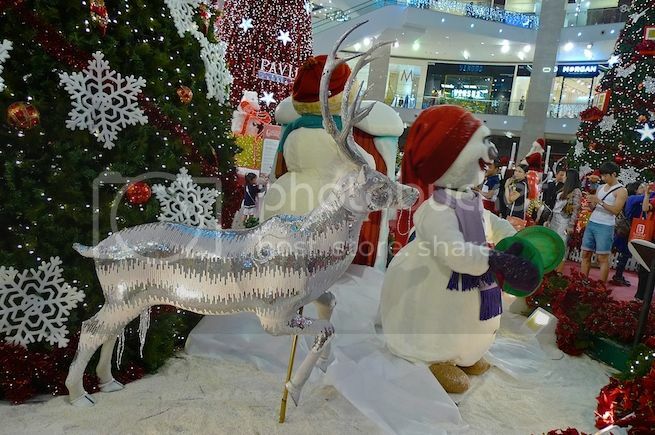 Nice reindeer - I wanna take it home! Is that a polar bear? 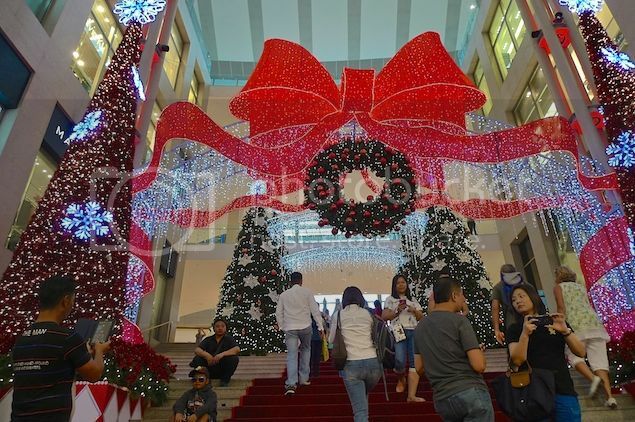 A huge red ribbon at the top of the stairs leading down to the main concourse. 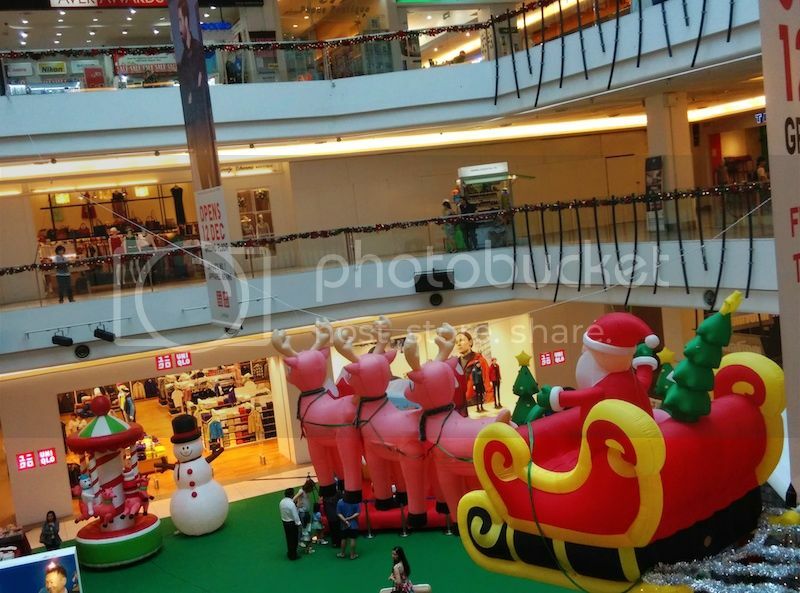 View of the tall Santa and the surrounding decorations from the stairs. 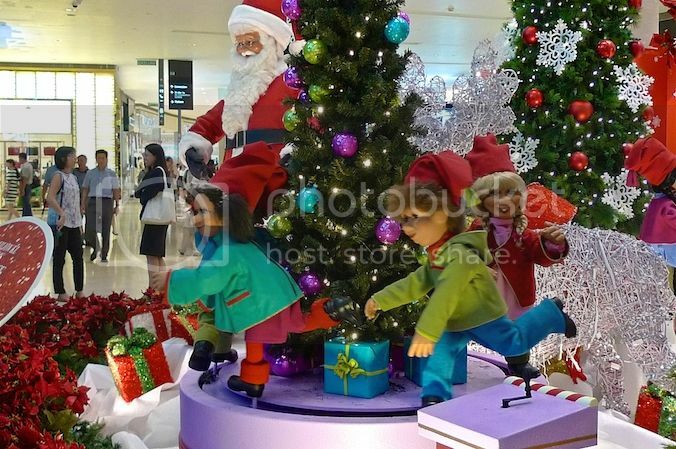 At the front entrance of Pavilion, there are more elves! 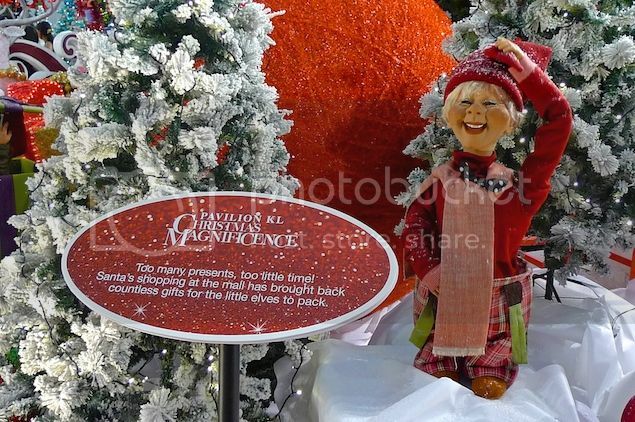 Like this one, but someone told me she is a little scary, like Annabelle. Hahaha! 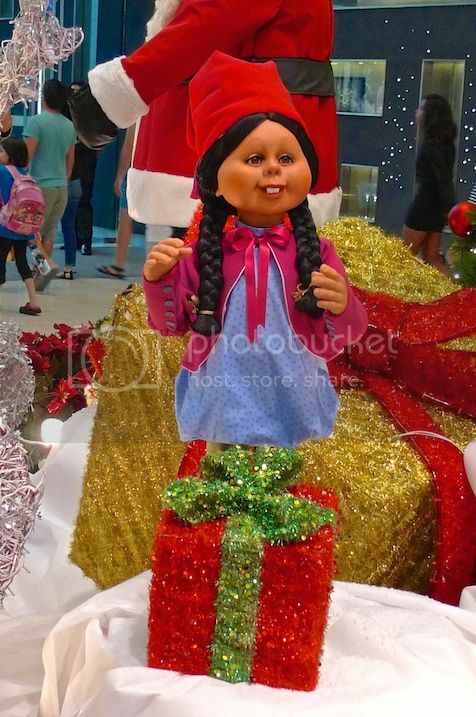 OK, I can imagine her moving around inside the mall when it's closed for the night. Creepy. This is very cute! 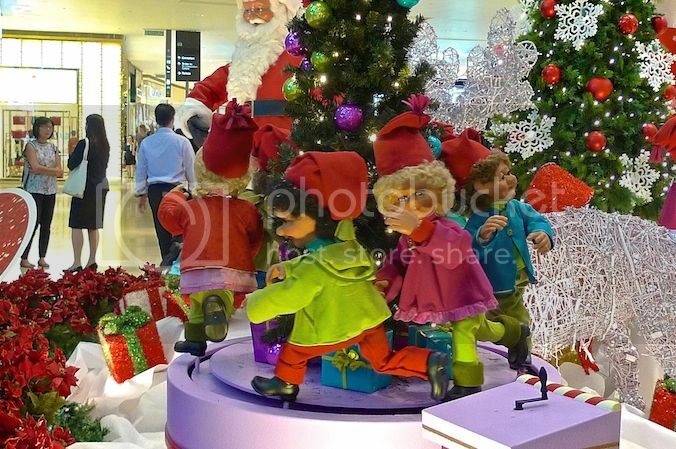 Elves dancing in a merry go round platform. 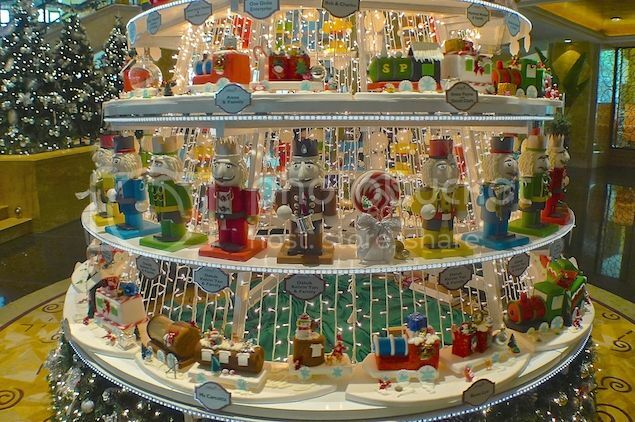 I made a short recording of the elves moving in a merry go round and placed it on Instagram. 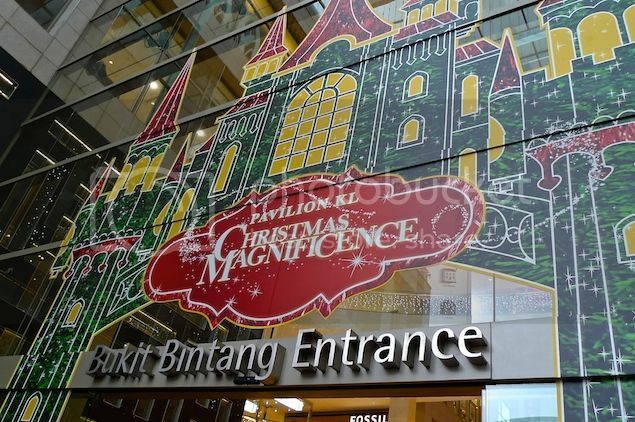 The outside entrance of Pavilion facing the Bukit Bintang road. The view of the entrance from the inside. 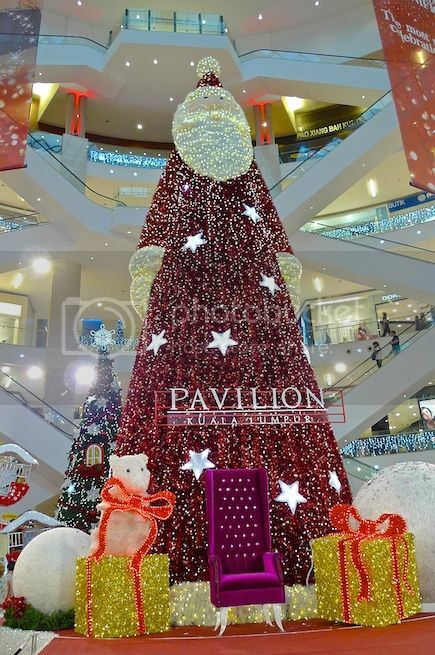 Do you like the Christmas decorations at Pavilion KL this year? 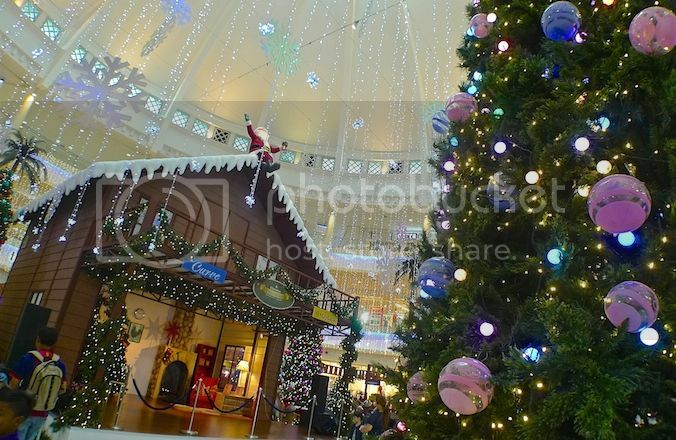 For me, the decorations evoked a very Christmassy feeling, so I love it very, very much! Guess what? 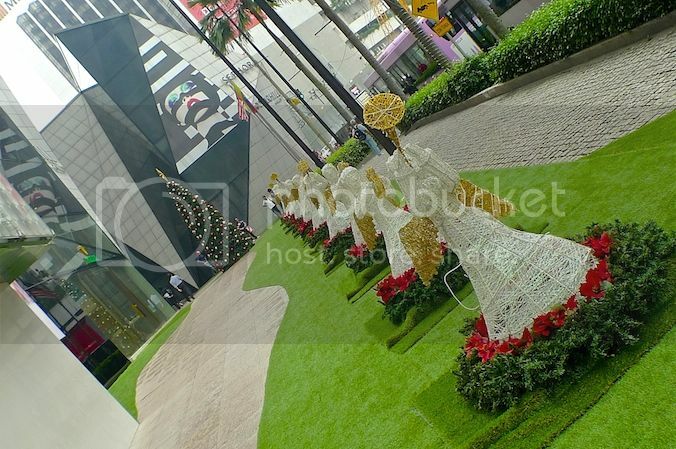 I happened to stumble upon KL's most beautiful and creative Christmas tree this year! 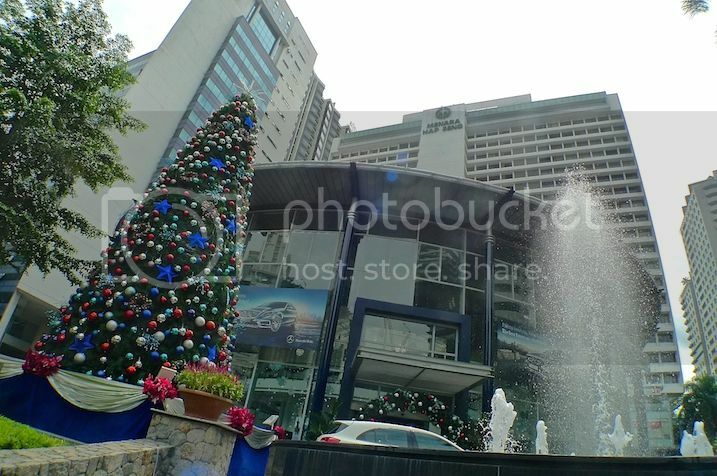 It's at Shangri-la Hotel KL! 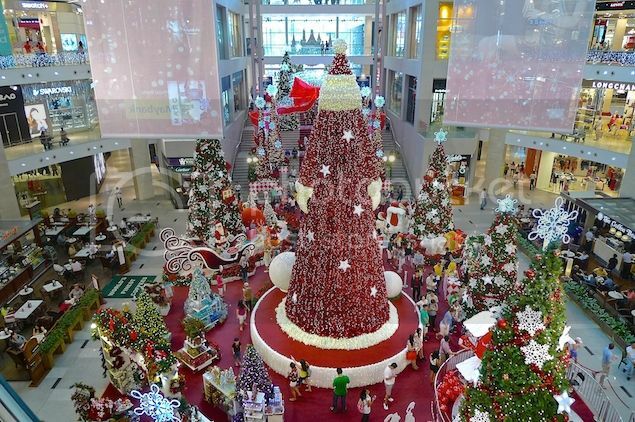 One look and you will notice that this is no ordinary Christmas tree. 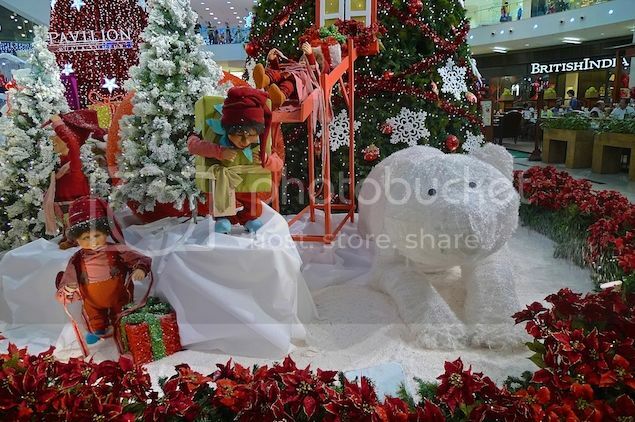 It is filled with toys and Christmas stuffs and that's not all. It also rotates! 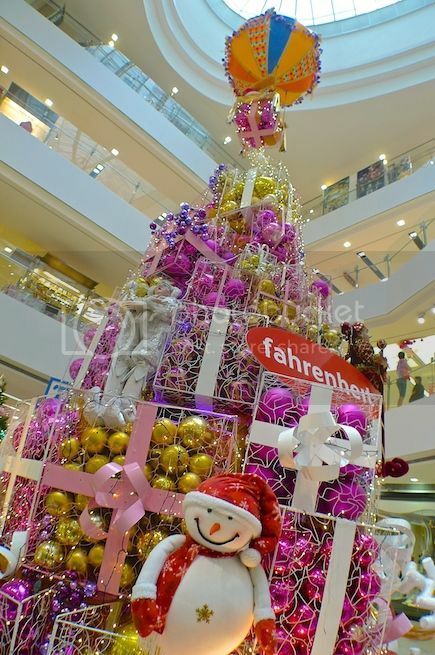 A close shot of the tree. 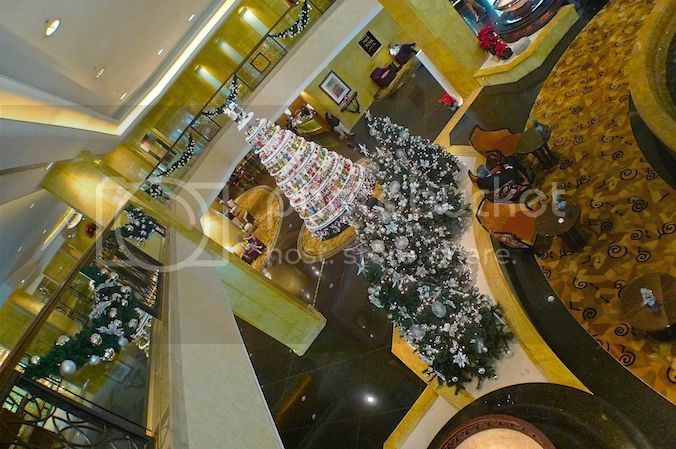 The tree looks beautiful from a distance too. 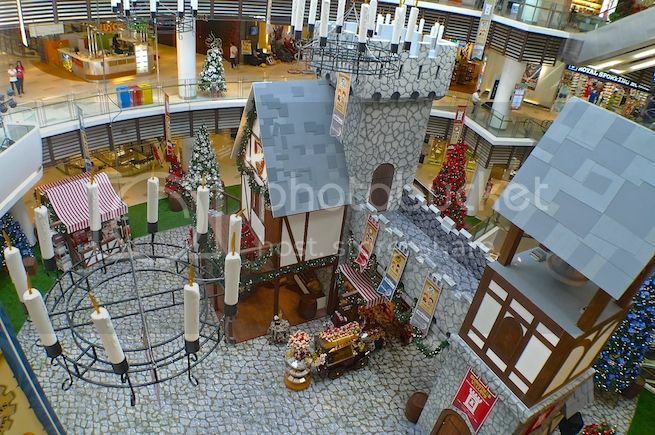 I went up one floor above to take another shot of the Christmas tree. 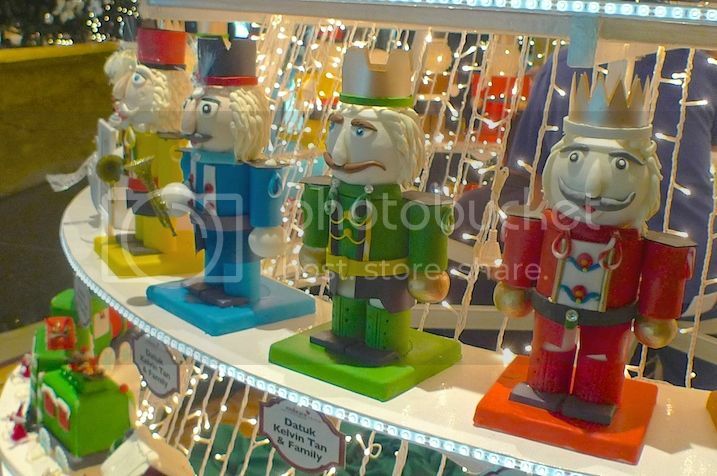 Tin soldiers on top of the tree. I recorded the platforms on the tree rotating and put it up on Instagram. Watch it HERE. By the way, do join me on Instagram too, if you like. 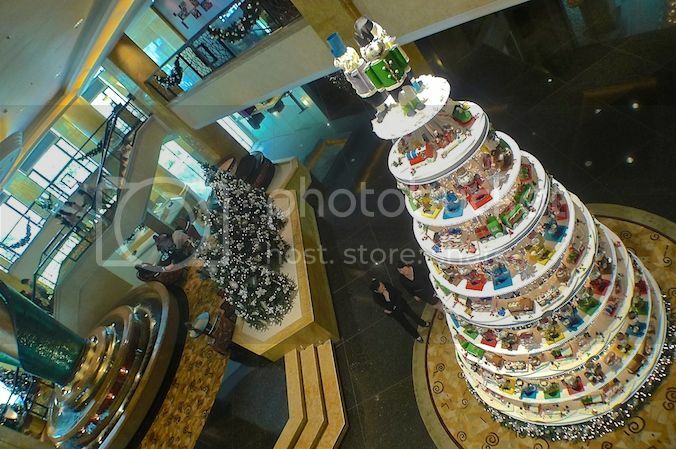 I really love this creative and beautiful rotating Christmas tree at Shangri-la KL! 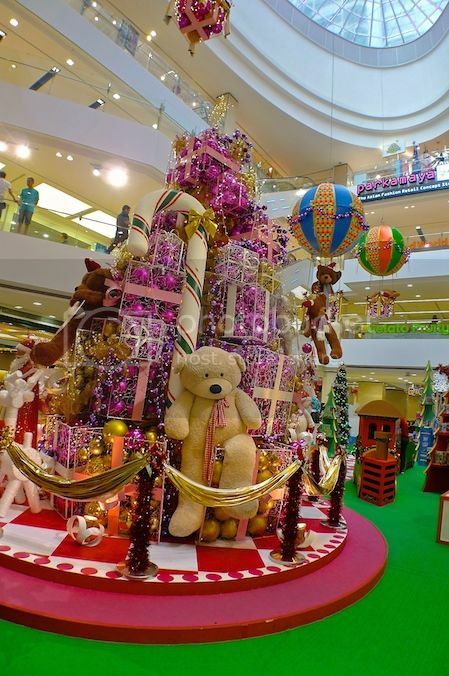 How I wish I can have it in my house! 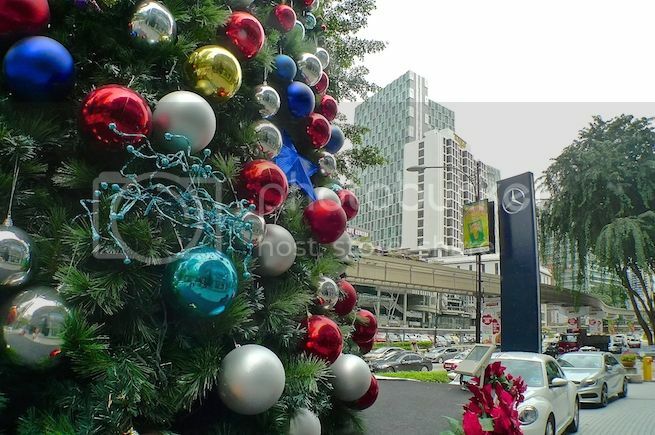 If you travel to KL often, you will notice a very huge Christmas tree at the corner junction of Jalan P. Ramlee and Jalan Sultan Ismail near Menara Hap Seng. 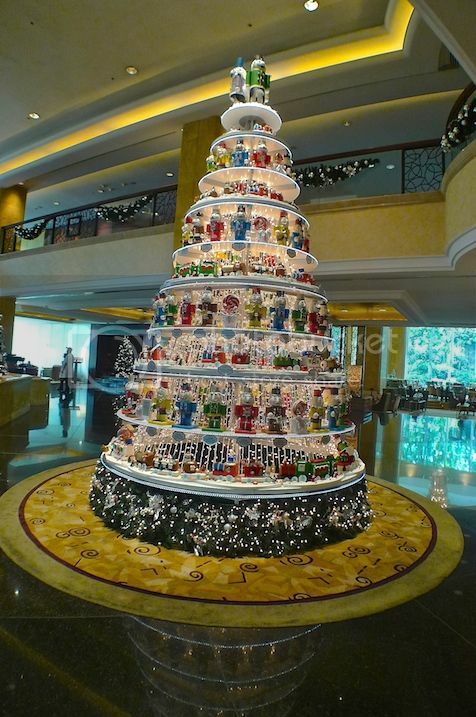 This has got to be my favourite Christmas tree of the year. It's too bad that the sky was quite dark and it was about to rain when I took this photo. 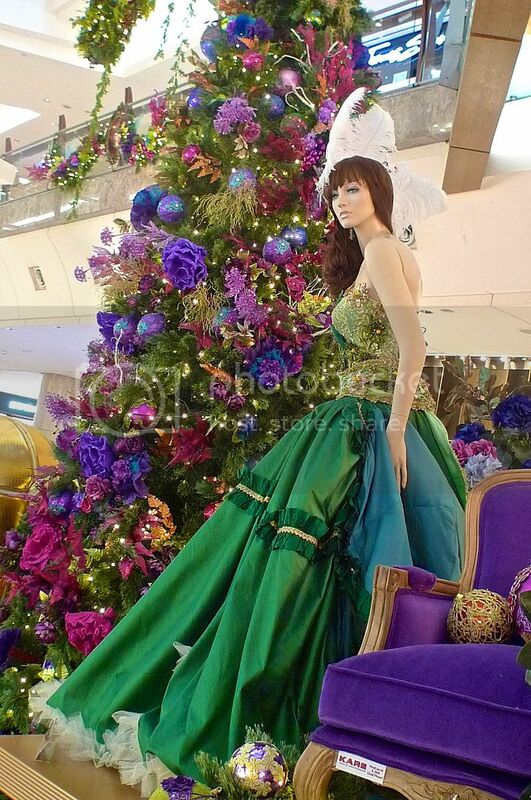 Otherwise, the tree would certainly looked nicer. 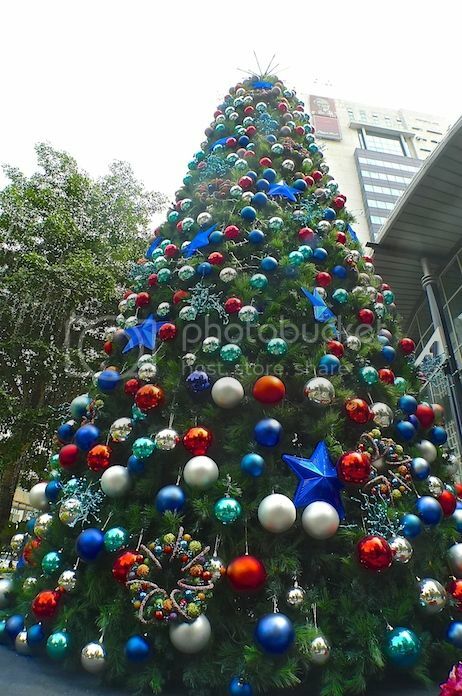 Oddly, this tree looked much better in the daytime than during the night. So I decided to take a picture of it during the day. 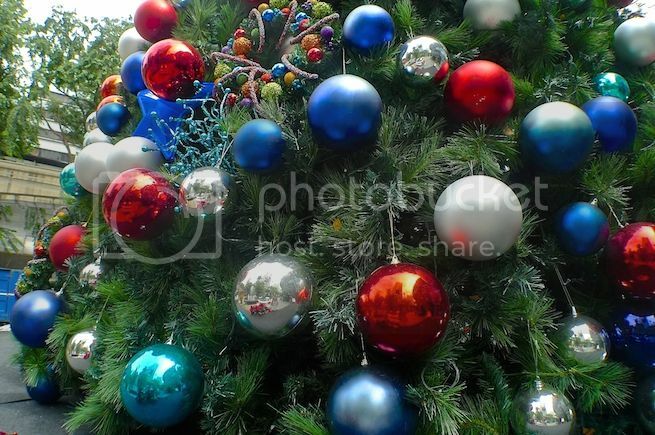 Love the shimmering reflective ornaments on the tree! 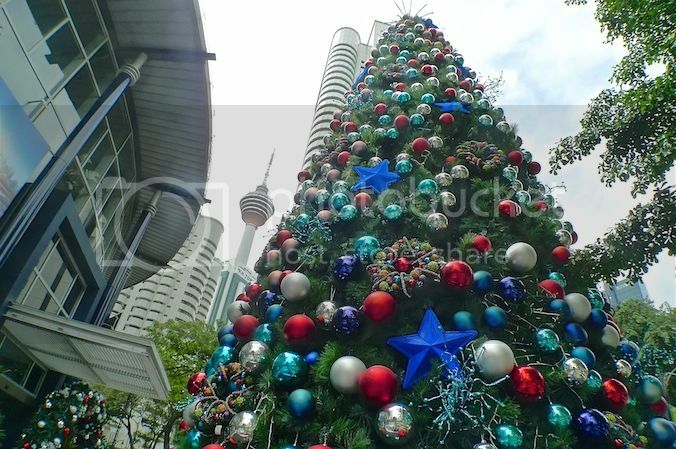 The best part of this tall Christmas tree is the view of KL Tower in the background. Beautiful! 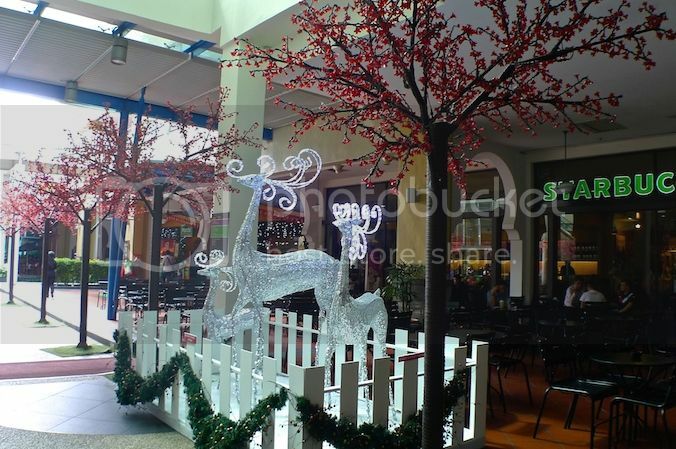 I will be sharing more Christmas decorations in the other parts of Klang Valley in Part 2, so stay tuned.